managed to start the 'horror from the mound' before the little un woke up and have brought it to work to finish. fully agree these must have been amazing at the time as they are bloody great now! The JTR book is non-fiction. One of my favourite supernatural stories is "The Shadow" by E. Nesbit, so I am looking forward to seeing what other delights await me in "The Power of Darkness." Absolutely tremendous stuff. What I'd really like to see is a collection of Fitz-James O'Brien- The Diamond Lens in particular is a great early horror/sci-fi tale. I have them all bar the latest two volumes. Absolutely beautiful set when lined up and required reading for anyone remotely interested in the subject matter. Murderous ghosts, horrific curses and monstrous beings haunt an unforgiving landscape into which travelers stray at their peril. Journey through the dark byways of Australia's Gothic past in the rare stories gathered in this memorable new collection. Work by acclaimed Australian writers such as Marcus Clarke, Henry Lawson and Edward Dyson appears alongside many lesser-known authors such as Beatrice Grimshaw, Mary Fortune and Ernest Favenc. Many of the stories collected here have never been reprinted since their first publication in 19th and early 20th century periodicals and showcase the richness and variety of the Australian ghost and horror story. Very well done, James! Wordsworth mentioned to us that they were considering an Aus Ghost collection but they didn't mention the editor. We'll give this a thread to itself when it's published, but for now, are the contents the same as Australian Gothic or Australian Nightmares? Australian Ghost Stories collects what I reckon are the best early Australian supernatural and horror stories - the latest story was published in 1939. A few are from Australian Gothic and Australian Nightmares, a few are fairly well-known (but still quite obscure) stories that have appeared in anthologies before, and a few haven't appeared in book form since their first appearance in colonial newspapers and magazines. I should say that the people at Wordsworth are a fine bunch to work with - I handed over the MS and that was it - everything done on time with no fuss. By the way, if anyone needs a reason to join the Vault apart from the great content, there's the huge benefit of contact with publishers and editors - so it was Derek asking Vaulters about an Australian anthology that got Australian Ghost Stories up with Wordsworth, plus I've put together an article on Frank Benier for Justin's PF, the latter based on newspaper articles dug up in the National Library. It's nice to do something on Benier who I suspect would otherwise be completely forgotten. So kudos to Dem for his great work on the Vault that enables all of this to happen. As for year's reading highlights - I've got to rack the depleted grey cells so I'll certainly miss a lot. Book highlights are The Nightfarers by Mark Valentine - that's a beautiful book produced by Ex Occidente. The Thirteenth Tale by Diane Setterfield - a few years old now, but a great book, similarly John Harwood's The Ghost Writer. Read a bunch of John Connolly thrillers - they're always good, and his Nocturnes is a great supernatural collection. Also read a bunch of John Dunning biblio-crime-thrillers - great reads for any book collector/bibliomaniac with a penchant for hard-boiled crime stories. Recently read Let the Right One In - that was a real highlight - I wonder if his other books are as good? The Dracula Dossier was disappointing. Finally got around to reading the Ripley books by Patricia Highsmith, plus a biography of her. Got all Paperback Fanatic from #8 - that's one magazine I always look forward to. Let my subscription lapse to Ghosts & Scholars, and must get back into it. Got secondhand Joshi and Dziemianowicz's Supernatural Literature of the World - a massive 3 volume work - but was a bit disappointed in it - Dem should be tasked with doing something along those lines for Wordsworth - an updated Ashley, Who's Who in Horror and Fantasy - thumbnail biographies of writers - what fun that would be! Anyway, I'm starting to ramble so I'll leave it there. I was so hoping you'd write something on Frank Bernier. The only reason i've not yet given him a thread to himself is lack of info. 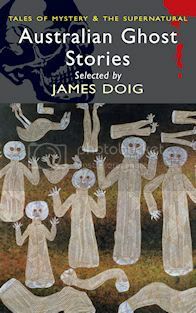 Out of all the images posted on here in 2009 - and that must run into hundreds - his cover illustration for James Dark's Horror Tales is the one that made the biggest impression on me, total instant fandom. Paperback Fanatic was made for neglected talents like him. 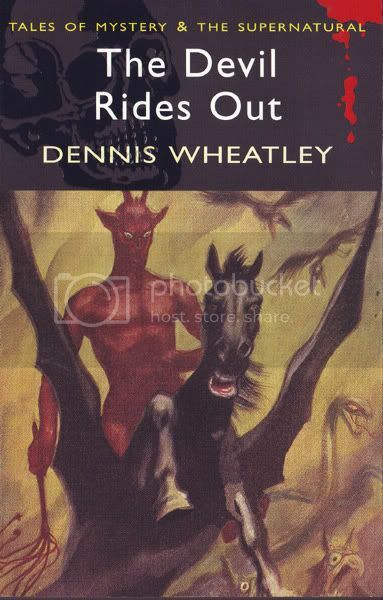 Cover illustration courtesy of Bob Rothwell, the Dennis Wheatley website. Paid a visit to the aforementioned sleaze emporium on the corner of Charing X Road/ Old Compton Street today. It's called 'Lovejoys' - how on earth did i not notice that before !!? - which kind of gives the game away, but the innocent are perfectly safe provided they don't stray to the back of the shop! Anyway; i'd hoped Varney ... might have arrived early, but that doesn't seem to be the case. The Loved Dead (see Steve on The Horror In The Museum thread) has disappeared from the shelves, and they're low on the Dennis Wheatley trio, which won't be reprinted. Anyway, it wasn't a wasted trip by any means and i came away with my hands full (thanks Chrissie). Some reviews will hopefully follow in the new year, and i'm particularly pleased to have landed The Monk, Mark Valentine's anthology of psychic sleuth stories The Lifted Veil, the Sir Andrew Caldecott double-header and, at last, The Devil Rides Out, the latter being particularly appropriate as it's approaching friend Bob Rothwell's anniversary. I like the recent shift away from paintings to photo's on the cover ; the forthcoming Varney .. is a beauty, as are The Monk and Beast With Five Fingers, and i was tempted to grab the Uncle Silas on the strength of attractive presentation alone. I can see i'll have to return in February, so maybe then. And i still didn't get R. Murray Gilchrist's bloody Night On The Moor! Thanks for the kind words, James, but such a project is way beyond my capabilities. One thing though; if i ever get my head to go and miraculously come up with anything worth reading - a decent anthology, say - the only publisher i'd offer it to are Wordsworth. i have the greatest respect for what they've done. i think of all the books selected as 'years favourite reads' to date, just about the only one i've had the pleasure of is ... Carrie. Ah it's so good to be back! These Wordsworths look brilliant and so many of them too. Is there somewhere on Vault or elsewhere a complete list? I have just ordered my first (of many I think) from Amazon; 'Gothic Short Stories' - the tempation to buy loads at once is pretty strong but I'm skint as usual, however what a bargain at £1.99 with free delivery. I'm sure even my limited means can stretch to a couple of quid every week or so. My next choice will be the Wilkie Collins. Last summer I read 'The Woman In White' on my daughter's (bright pink!) Nintendo DS courtesy of the '100 Classic Books' microchip thingy. I enjoyed it so much, and I've read 'Incredibly Strange Bed' many times, so I'm looking forward to that collection too. Can anyone recommend other good short story collections from Wordsworth? would you believe, i was just putting the finishing touches to it as you posted that! Recommended short story collections: Mark Valentine's The Werewolf Pack is ace and i'm sure his The Black Veil is too, it's just i've not had time yet. Just about to start Gothic Short Stories which - spookily - i finally picked up yesterday! "H.P. Lovecraft - The Loved Dead [withdrawn from sale] "
any idea why it was withdrawn? a brilliant book and i'm really glad i picked it up. see Steve on The Horror in the Museum thread.